This might be obvious, but the most power (or light) that you’re going to get from your flash, is at full output in manual. Then the flash dumps everything it has. Full power. You could of course zoom your flash-head a little tighter and get more power / range, but essentially, you’re at the limit. This is useful to know when you’re balancing flash with bright sunlight. With this portrait of Shawna, out on the Las Vegas strip, I wanted that sun-flare look … but I also wanted to balance the super-bright background with flash. 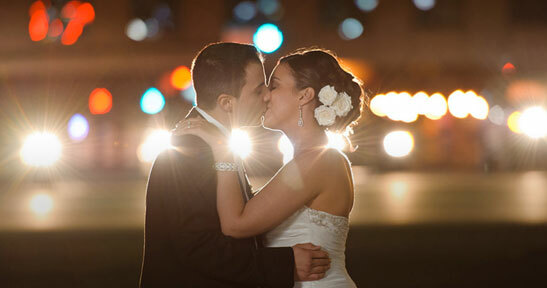 I wanted to distill the essence of what we, as photographers, work with – light! Before we can truly grasp on-camera flash and off-camera flash, and really, any kind of photography, we have to be aware of the direction and quality of light. We need to observe the light that we have, and then decide how best to use it, or enhance it. 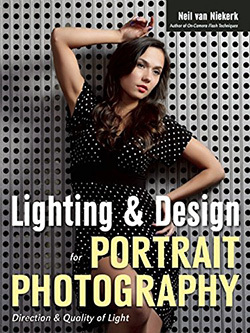 With this book, I try my best to share those “aha!” moments with you, and I do believe this book can make a difference to your photography. 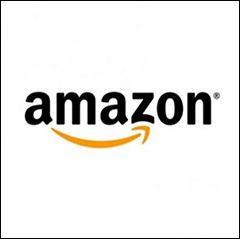 The book is available on Amazon USA and Amazon UK, or can be ordered through Barnes & Nobles and other bookstores. The book is also available on the Apple iBook Store, as well as Amazon Kindle. Since we were using only a single speedlight, a softbox wouldn’t have worked. The softbox cuts down too much of the flash’s output. So we used direct, unmodified flash. But we used it off-camera, instead of on-camera, so we could get more interesting light than direct on-camera flash would’ve allowed. now, for that aperture, find the distance for which the flash (in full manual output), will give you correct exposure. – we have our power … full manual power so have have the max output! – we now need to find the appropriate distance! Fortunately, most of the larger, better speedlights will show the distance for that aperture / ISO combination. With the off-camera Nikon SB-900 and SB-910 speedlights, you could go into the menu of the flash to set the ISO setting, and read the appropriate distance for the aperture you enter. But that’s a mission. 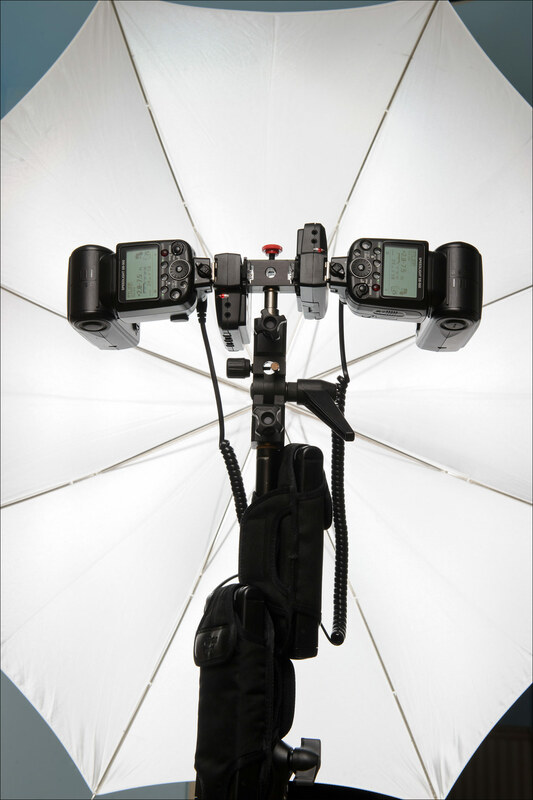 With the Canon 580EX II speedlite, you have to set Custom Function 5, to value “3”. Then you can set the aperture and ISO readings on the flash. With that off-camera flash ON your camera, (so it can read the ISO and aperture you set), look at the scale at the back of the flash. Note that I kept the flash zoomed to 50mm. So for full power from the Nikon SB-900, at 200 ISO, I have to be 13 ft from my subject for the flash to deliver f10 worth of flash. The 580EX II only displays the aperture setting when the flash is in E-TTL mode. It’s an odd quirk. Don’t make too much of the difference in distance shown here. 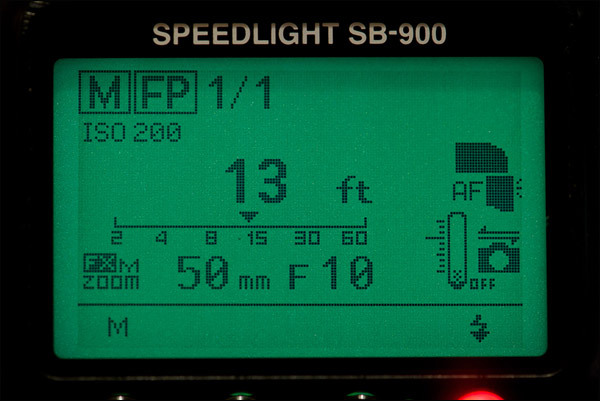 The Canon speedlite’s display is more ambiguous about the specific distance. Also, the various manufacturers tend to be slightly optimistic about the output of their flashguns. So you DO need to check the back of your camera to see if your exposure is correct. Or close enough to correct. That’s the process … find the aperture you need for your ambient exposure (at max sync speed and lowest ISO), and then for that aperture, find the distance on your flash when set to full manual output. Simple, really. Now, shooting against the bright sun like that, all cameras will hesitate in their focusing. ALL cameras. What I do then, is rely on the depth-of-field of shooting in the f8 to f11 range as in this case, and then I focus on my subject’s feet. No strong back-lighting to contend with, and I can lock my camera’s focus … and then get the shot. Great tip about focusing on the feet, since you have a small aperture. I’ll have to try that. I’ve always just fought with it or gone to maual focus. Your way is probably better. Thanks. Did you use a full CTO cut here? Setting sunlight is very warm, and it looks like you’ve matched temperatures well here. But the CTO eats about a stop of light, no? Setting focus on the feet and shooting at f/8-f/11 is a great workaround for any issues that crop up due to focusing into a strong backlight (i.e. the sun). Of course, this does eat a lot of flash power. As long as you’re back far enough, f/5.6 should give you sufficient DoF for your “foot focus” trick to work (totally stealing that idea, BTW), and your light would have been much softer (assuming that’s what you want). Just curious. Great post, as always. I’m not sure why the jump from f8 to f5.6 would give you an extra stop of flash output? I’m not following your reasoning there. Also, keep in mind that the values here for Canon was something I worked out afterwards for explanation here, so I wouldn’t fixate too much on it that it would’ve actually been 20 ft in practice. It’s the thought-process here that matters, rather than the specific values. Wow! Thank you, what an eye opener this was for me!! Can’t wait to test it out! Neil, great tip on the “foot focusing”. I’ve been following your blog for years and even when you’re re-hashing well worn (to me) topics, there’s always a new little gem of an idea embedded in there. Your description about how to find the distance was something I hadn’t given much thought too. 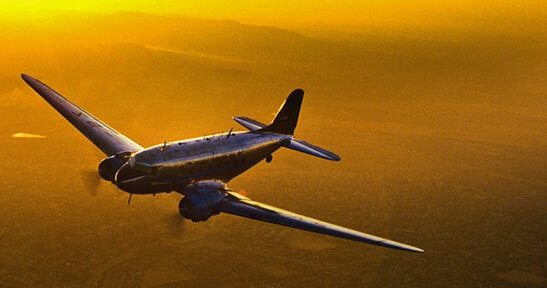 I certainly would’ve halved the distance and left my speedlight on 1/4 power to conserve my AA’s. And the process of “finding the distance” would’ve been trial and error. (pixel’s are cheap). It’s a good exercise to know how to get all the info up front from your equipment. Keep up the good work! 14 ft isn’t particularly far. We were a group of 4 people shooting, so the extra working space helped. Even if working alone, I’m not sure I’d hold the flash only 6 ft away from the model. I would get the flashgun itself in the frame. I need that distance to get a clear composition. So the room for focus error @ f/11ish is that small that you are able to focus on the feet and recompose for the head? I’m assuming that has to do with the distance to the subject as well, correct? Opening up from f/8 to f/5.6 increases the flash (and ambient, of course) exposure by one stop (i.e. you can lower the flash power to 1/2 OR possibly add a modifier, and still get the same flash exposure). That’s all I meant. I was just thinking of ways that would have allowed you to use a modifier, and thus get softer light. Opening up to f/5.6 and/or moving the flash closer to the subject are two possibilities. Interesting that you didn’t use a gel. Mike .. the entire point of this post was to shot a consistent technique for adding the most flash you can, to very bright light. Changing the aperture to let the background blow out more – well, while that is a technique, and the photo might look as interesting – that isn’t what we’re chasing here. You’re describing a different scenario by breaking down the numbers there like that. I don’t want to use a gel here (such as a 1/2 CTS), because I don’t want to balance my flash with the warm ambient light. Since the flash is colder, the background would appear warmer. Gelling would’ve reduced the warm tones in the image. Dumb question: How do you lock focus? 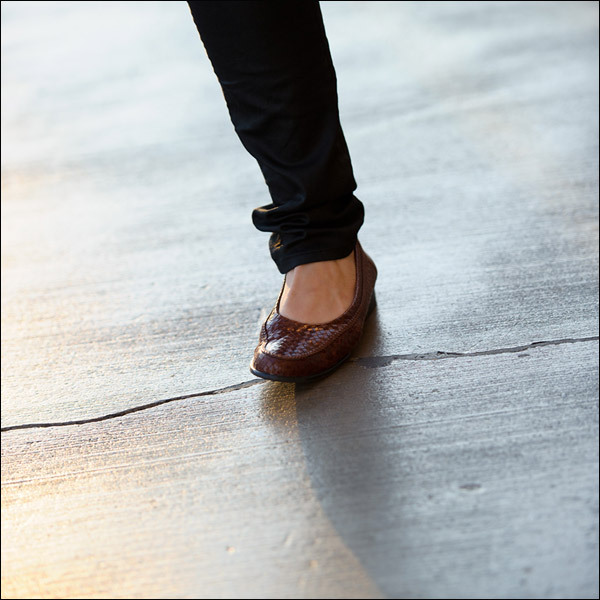 1) Hold the shutter button halfway down while focusing on the feet and recomposing the image? 2) Something else? (FV lock button? – I never used this button before). 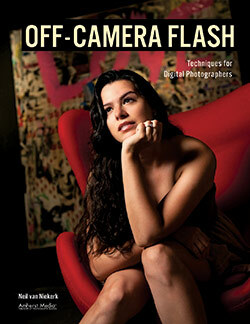 This article and other like it seem to show that one doesn’t need a lightmeter to get started on manual flash. The shortcuts are enlightening. FV lock – Flash Value Lock. As far as the distance settings, would you say its fair to assume that you can apply this to bounce as long as you “guestimate” the distance from flash to bounce and then add that distance to the subject? Bounce flash is a little more involved, since you lose light depending on how reflective the surface is that you’re using. So it would be way too much work to do the actual calculations and then derive the aperture / distance combination. Just use TTL flash when it is the congruent scenario to use bounce flash. Perhaps, perhaps. But that wasn’t an option here. Since we had one model, and one speedlight … but some were shooting with Canon and others with Nikon. I wanted a universally applicable technique. And this is it. So we used PocketWizard Plus II units to trigger the speedlight. There are several ways to “lock focus”. One is to set up your camera to do exposure only on half-press of the shutter button and assign a different button to do focusing… this is easily done on the Canon 5D MkII (and I suppose also on the Nikon). That way you can focus with one button and unless you press that button again, the focus will remain “locked” to the prior value. If this is not possible on your particular camera, then I would simply focus on the feet with the shutter button, then simply move the focus switch on the lens from AF to MF so that the focus point wouldn’t change. ->does it mean that the focus in bright sun light is wrong ? 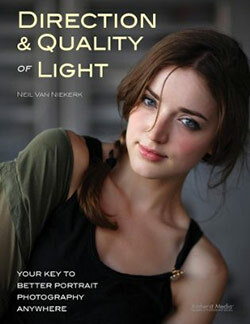 So a portrait in bright sunlight at f2.2 for instance is more difficult in bright light condition? And, a side question, is focusing a subject at f2.8 or wider all the more difficult when the distance to the subject is increasing? Ced … cameras tend to hunt in their focusing. So much that they often can’t latch focus. And when they do, there is a chance that the image is mis-focused. Try it. Re your last comment, DoF becomes greater, the further your subject from the camera. @Carlos, on Nikon cameras, that would probably be the AF-ON button. That seems to be what he has done here. That tip to focus on the feet is gold! Thanks! 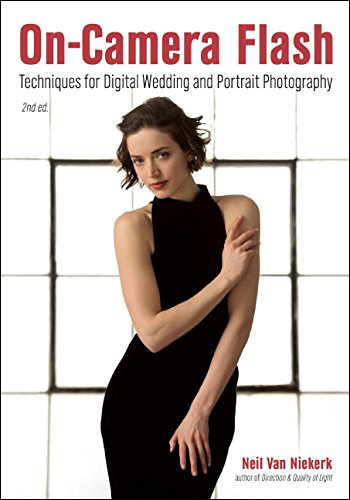 I’ve just finished reading Bryan Peterson’s book on flash and he goes on about how easy it is to use manual flash just as you described, by consulting the display on your flash. But what if you’re using an older/lesser flash Iin my case, the SB600) that doesn’t have the flash distance guide? Is there a chart somewhere or something I can print out? A website? An app? I don’t want to upgrade to an SB-700 or 910 *just* for this feature. Yes there is. It’s called the Guide Number of your flashgun. Learn to love it if your flash doesn’t display distance or if you don’t own a lightmeter. Right, but how can I transfer the guide number into the ISO/shutter speeed/distance equation? The only place I haven’t looked is in the flash manual. Sorry if this is a dumb question, I’ve been stuck on this for weeks! I always learn so much about staging the model and the equipment from your “pull back” shots. Do you have one for this image that you’re willing/able to show us? Here’s a grabshot over my shoulder while I was shooting the sequence above. It’ll give you and idea of where we were. I was there! I learned so much in the short time together. I love how you keep everything simple. Thank you Neil! Could you please tell me if you noticed any improvement in the new SB-910 regarding the thermal cut-off? What I hear is that the new thermal control only slow down a little the flash in order not to shutdown. 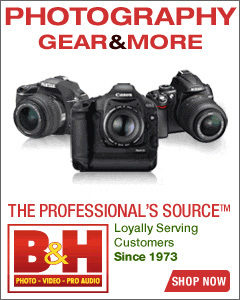 I would like to know if the SB-910 can handle betther a massive usage with the thermal cut-off disabled. Eduardo … I’ll post a review of the Nikon SB-910 in the next few weeks. Presumably one could have added a second or third speedlight to the end of the light pole (similar to your post here: https://neilvn.com/tangents/images/weddings/randa/_tangents/NVN_3501-lrg.jpg ) Would that have given you enough light to use an umbrella or soft box? Mike … it could have been an option, except for the busy sidewalk in Vegas and the extra weight for my assistant to hold. Thanks Neil for your great explanation !! As every one say, you give very clear explanation !! Hello, Neil! Thank you very much for your work! I love your articles very much, there were very helpful when I started learning flash photography, I come back to them regularly. Is it possible to ask you for a permission to translate some of the articles into Russian and to publish them on my website with a link to your websource and any other information you wish? And thanks for a really great post. I’ll be using your technique tomorrow at the beach! I have both a Metz 58 AF-1 and a Canon 580ex II. They appear to have the same GN. For the settings you provide in the example (ISO 100, f8), the Metz – which does provide distance info on its LCD panel without needing to be attached to the camera – it says 17 feet. That seems like a fairly wide margin of error, so I’m assuming the Metz will have a tendency to overexpose if one follows its distance numbers? The difference between 20 ft and 17 ft is incremental in terms of your flash exposure. 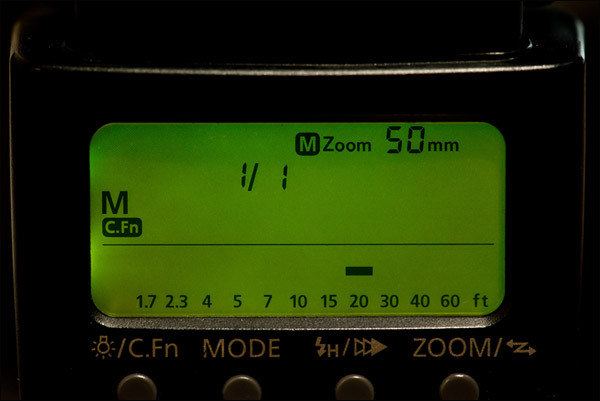 Also keep in mind that the Canon speedlite’s display isn’t marked in fine discreet values. Ultimately though, I don’t think it will make much difference. Thanks for this Neil. I’ve been struggling with balancing flash and ambient, and how to determine where/what I’m metering for, then adding flash. After reading several of your articles today…and re-reading certain points (lowest ISO, highest shutter (sync) speed then adding flash to balance) it seems so much clearer. Can’t wait to get out and try it all out tonight. So Neil, you have been my mentor on flash photography. I have learned so much from you. But I have a really dumb question. How do you measure distance? I have viewed distance guides with mistrust because I am not sure what the difference between 12/15/20/30 feet is. Do you have a method? If you consider 6 ft to the the height of an average man, then it becomes easier to judge the distance by imagining people lying on the ground, feet-to-head. 6 ft / 12 ft / 18 ft / 24 ft. Ultimately, the exact distance isn’t that of a big deal, since you are going to adjust your flash / aperture by looking at the results of a test shot or two. Great article Neil, I have always wondered how to use the distance scales on my SB-26’s. I can only run them in manual as no TTL with these on a DSLR, even when on the camera. Using the distance scales makes that first exposure so much easier to work out. I can then just tweak to taste. Firstly I would like say how great it was to stumble upon your website a few weeks ago. Straight away I bought your book “Off Camera Flash” and have started to eat it cover to cover. the only problem I have now it that with this Custom Function engaged there’s no way to power down/up the flash if required…I think, I still learning! Trevor .. thank you! This is something I should’ve known. I’ve amended the text now with the correct information. I may be missing something. When I set my 580 EX II Custom Function 5 to value3, I do indeed have the ability to set aperture and f/ stop as well as flash head zoom which it would seem no longer matches needs to match the lens focal length, and it displays the flash range/subj distance. i.e. the 580 EX has two options for auto exposure: TTL and external Senor. The M on the LCD it would seem does not mean Manual. It feels more like a semi-auto camera mode like Aperture Priority than Manual mode. Do you have a preference between these two auto modes? When would you use this rather than TTL or do you suggest this just as a mean to get the distance? Neil, you state that manual flash is controlled by four things: power, distance, aperture, ISO. Can zooming the flash head also be added to this list? Changing the angle of the beam (i.e., zooming the flash-head) would fall under ‘power’. Similarly, using a light modifier of some kind would be affecting the power in this equation. Thanks, Neil! I appreciate the quick reply.